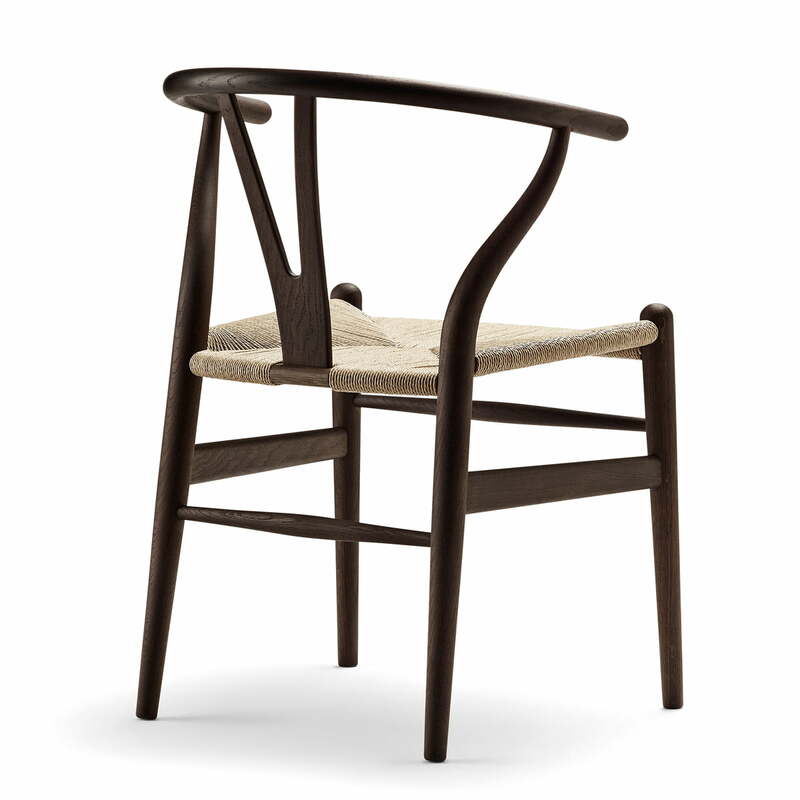 With the CH24 Wishbone Chair, designer Hans J. Wegner created what is probably his most famous piece in 1949. The chair is particularly suitable for the dining table and the living area, where it convinces with its timeless elegance. 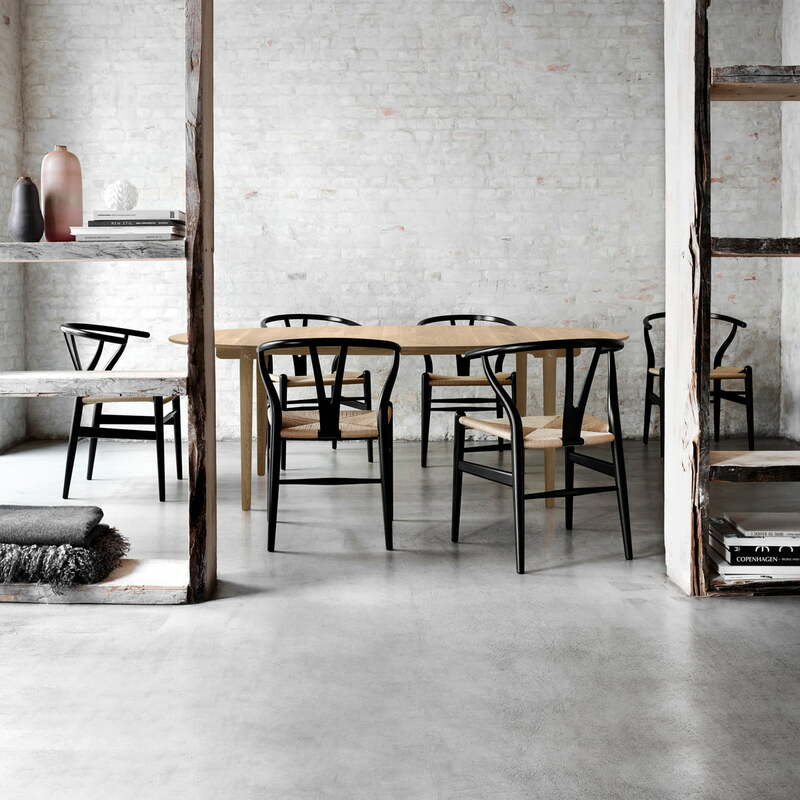 Even today, the surprisingly comfortable design classic by Carl Hansen & Søn has a light and attractive appearance. 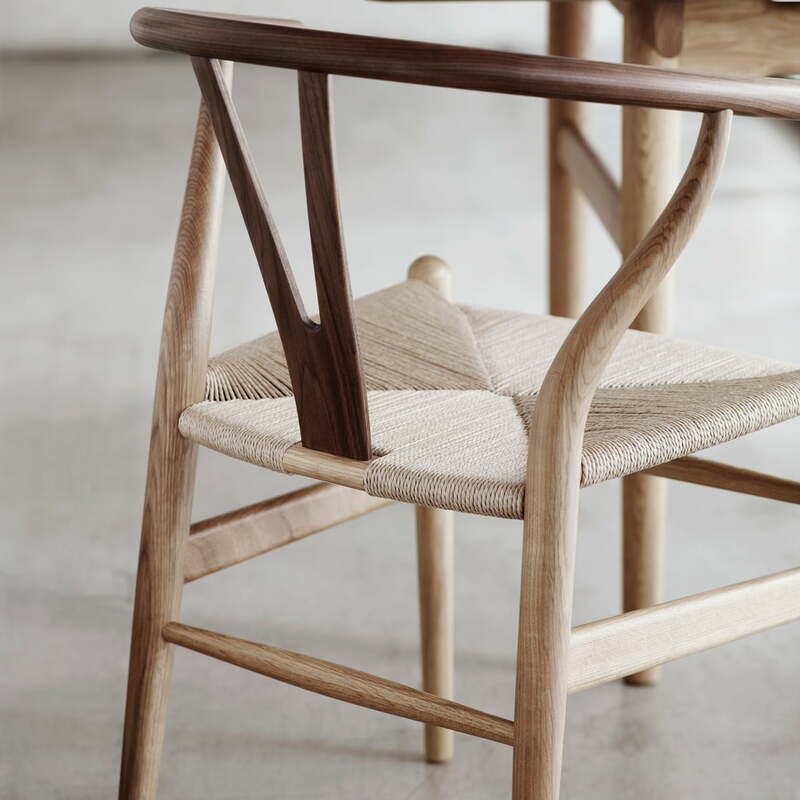 The Wishbone Chair is an outstanding example of Hans J. Wegner's continuous quest for organic simplicity, comfort and stability in the products he designs. The iconic appearance of the Wishbone ("sternum") Chair made it a bestseller among Wegner's designs shortly after its introduction. 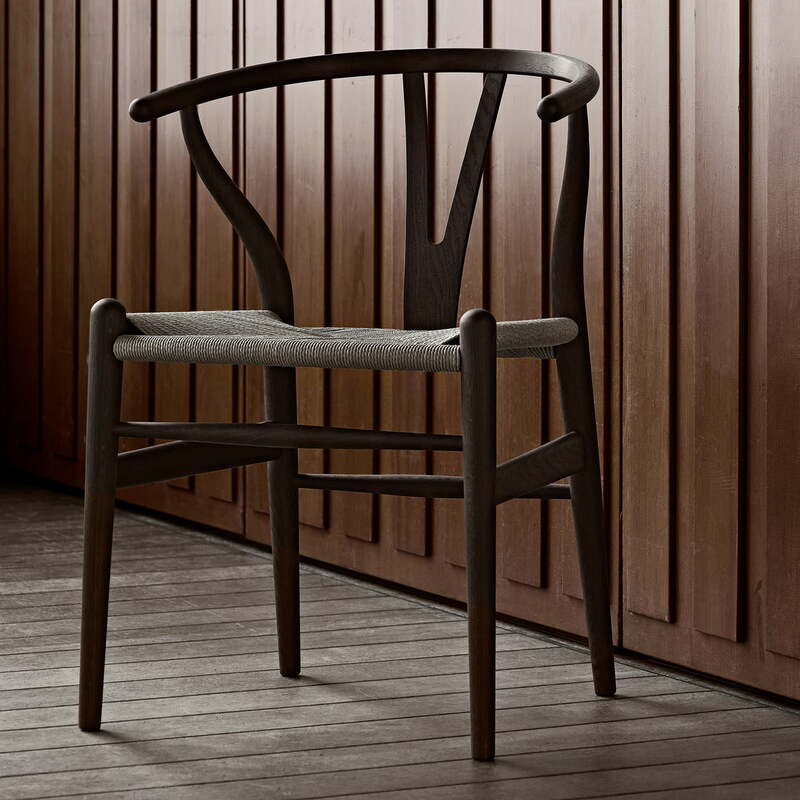 To this day, the CH24 is known in Denmark among design connoisseurs simply as "The Chair" - hardly any other characteristic could better describe the status of Hans J. Wegner's classic. The characteristic "Y" in the backrest of the CH24 ensures comfortable sitting, simultaneously stabilises the steam-curved backrest and, of course, is responsible for the name of the chair. 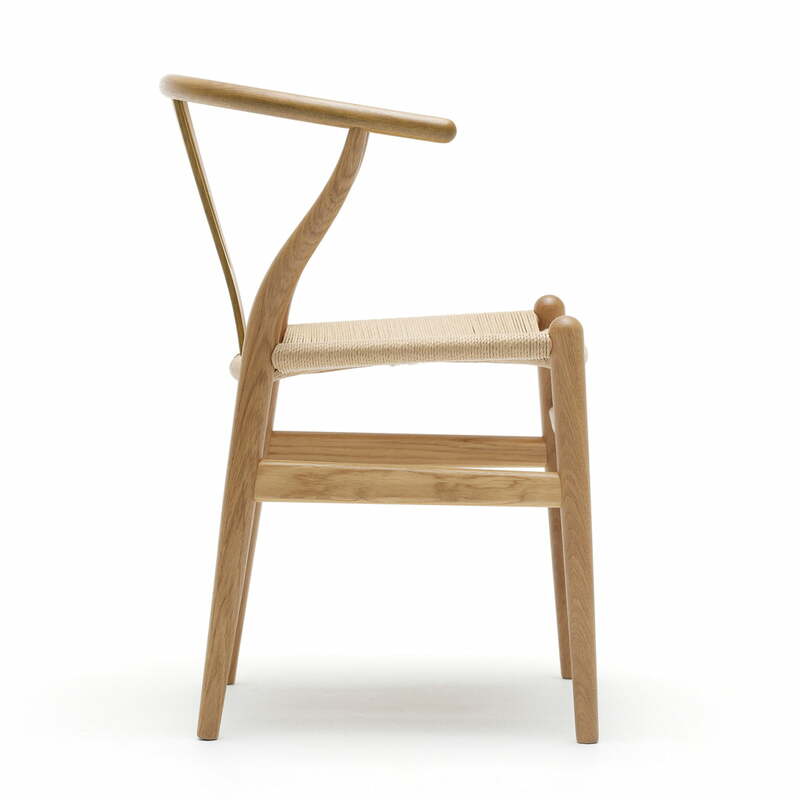 The Wishbone Chair is also known as the Y Chair . The gently curved backrest, the special bracing and the hand-woven seat surface allow a wide range of seating positions, making the CH24 suitable for a variety of applications. With its simple design and clear lines, the CH24 Wishbone Chair is a prime example of the highest craftsmanship. The simple impression hardly gives any idea that 100 individual steps are required to manufacture the chair. The hand-woven seat alone consists of 120 m of paper cord, which is processed by Carl Hansen & Søn in uncompromising quality. 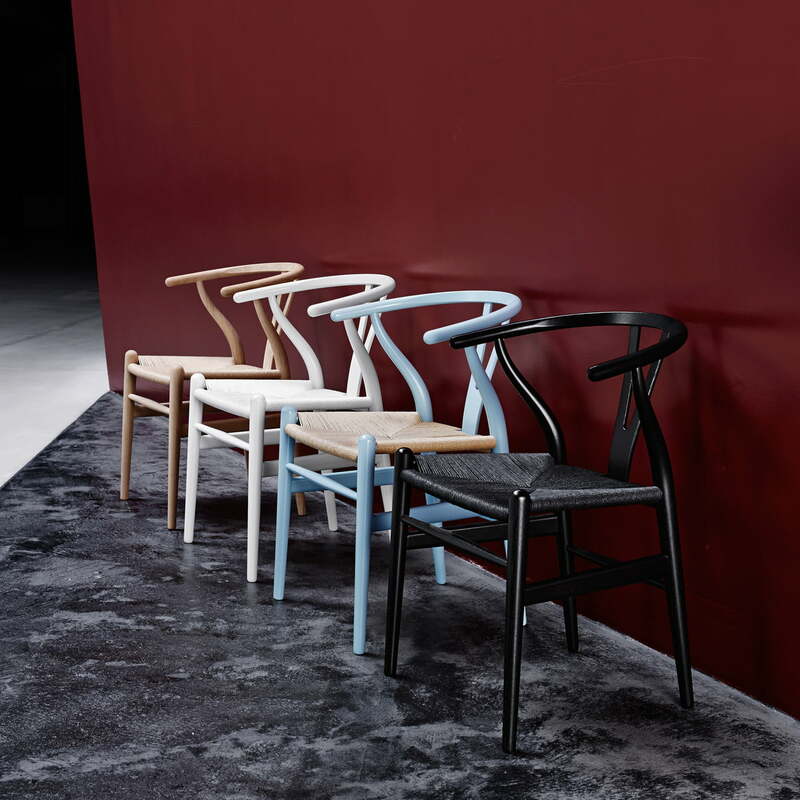 The CH24 Wishbone Chair from Carl Hansen is available in different versions. 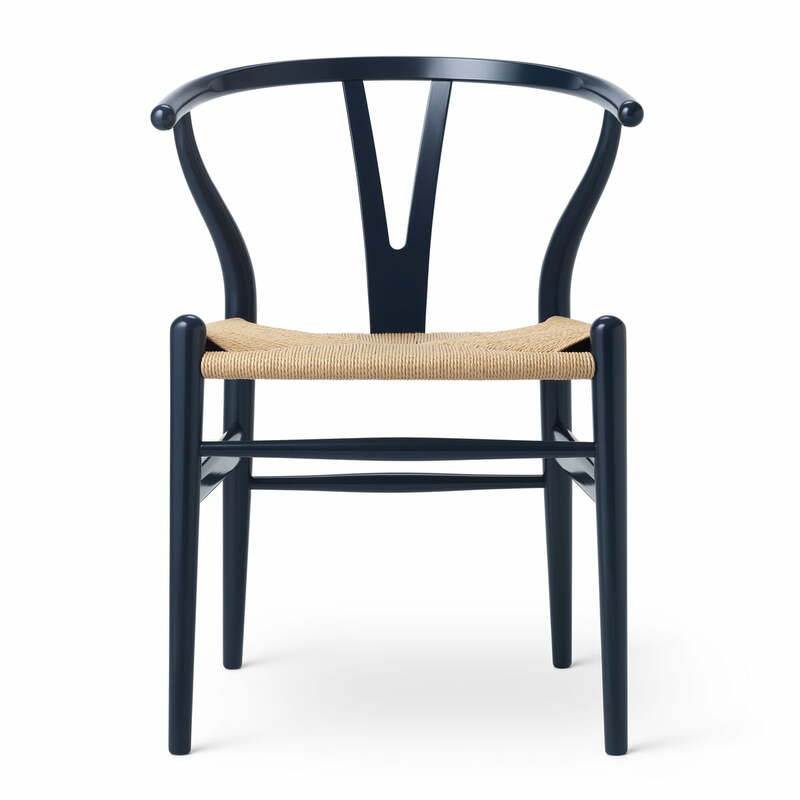 On the occasion of Hans J. Wegner's 10th 5. birthday in 2. 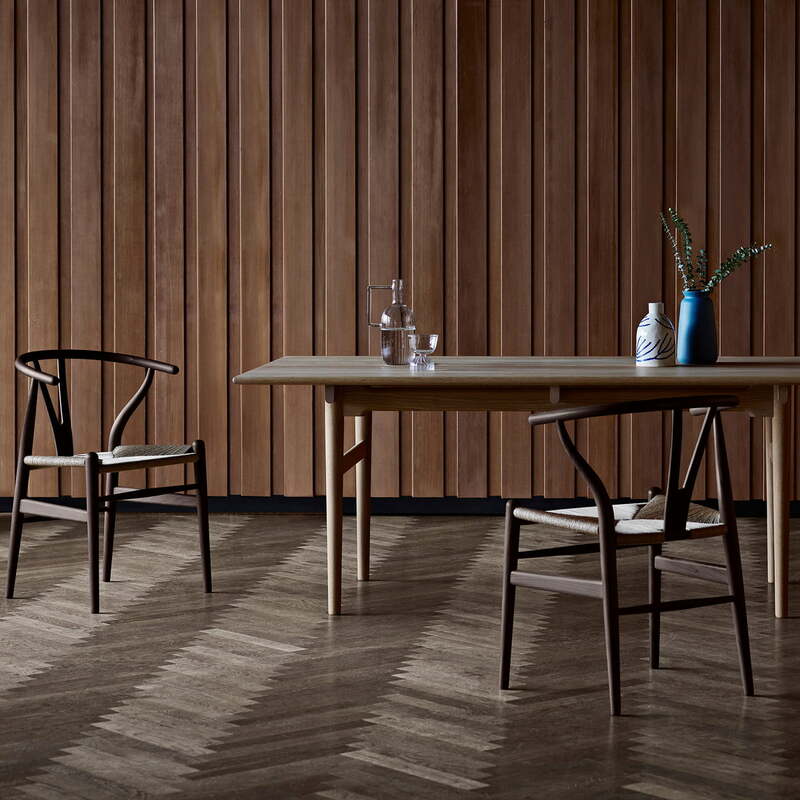 April 2019, Carl Hansen & Søn presents a hitherto unknown version of the legendary Wishbone Chair by the chair master. This unique special edition has a walnut frame with an oiled surface and an exclusive goatskin seat. This version of the Wishbone Chair has never been manufactured before. 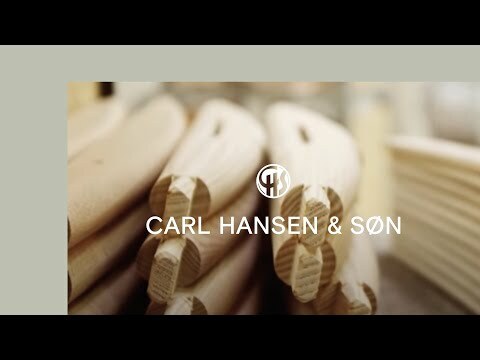 Gain an insight into the production of the CH24 wishbone chair by Carl Hansen & Søn. From the processing of the raw material wood to the shaping of the classic chair, you can see the production and the care with which the seating furniture is created. 2 of 6 customers have found this review helpful. 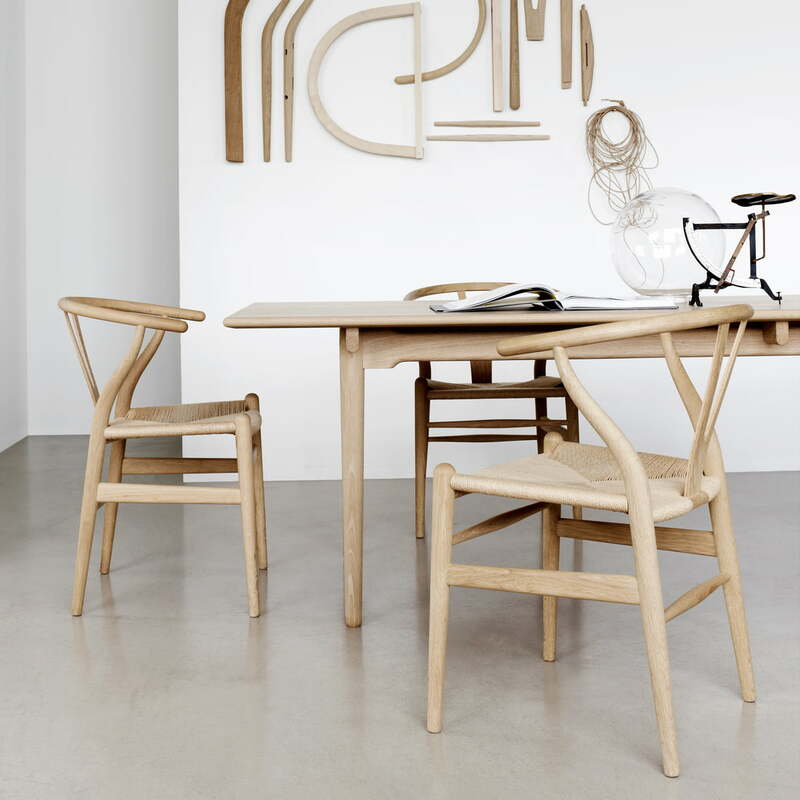 CH24 Wishbone Chair by Carl Hansenin in rear view. 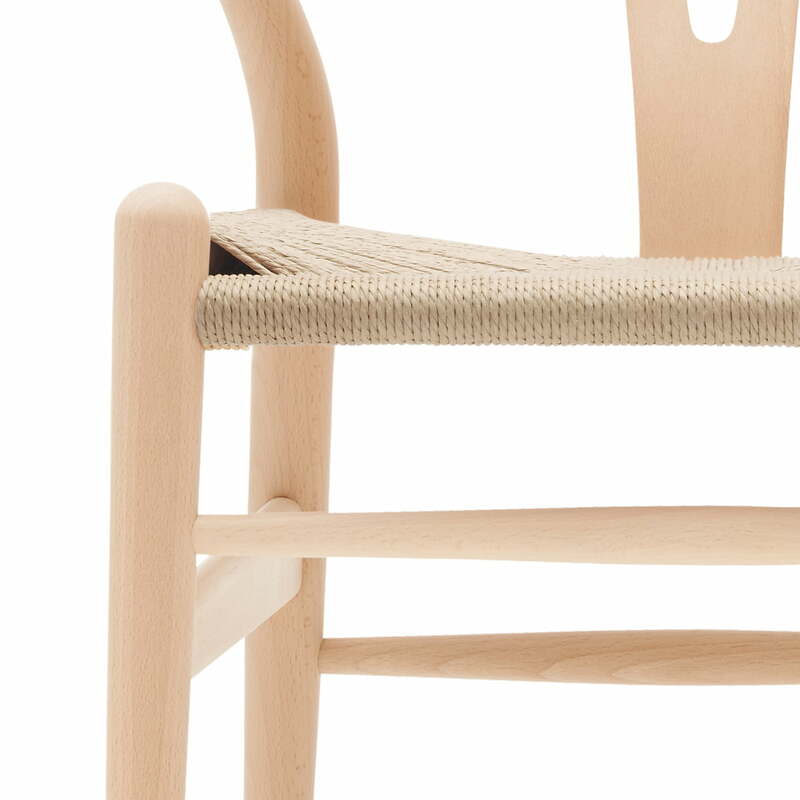 Due to the Y-like shape of the backrest, the chair designed by Hans J. Wegner is also known as the Y chair. The simple impression hardly gives any idea that 100 individual steps are required to manufacture the chair. The hand-woven seat alone consists of 120 m of paper cord, which is processed by Carl Hansen & Søn in uncompromising quality. 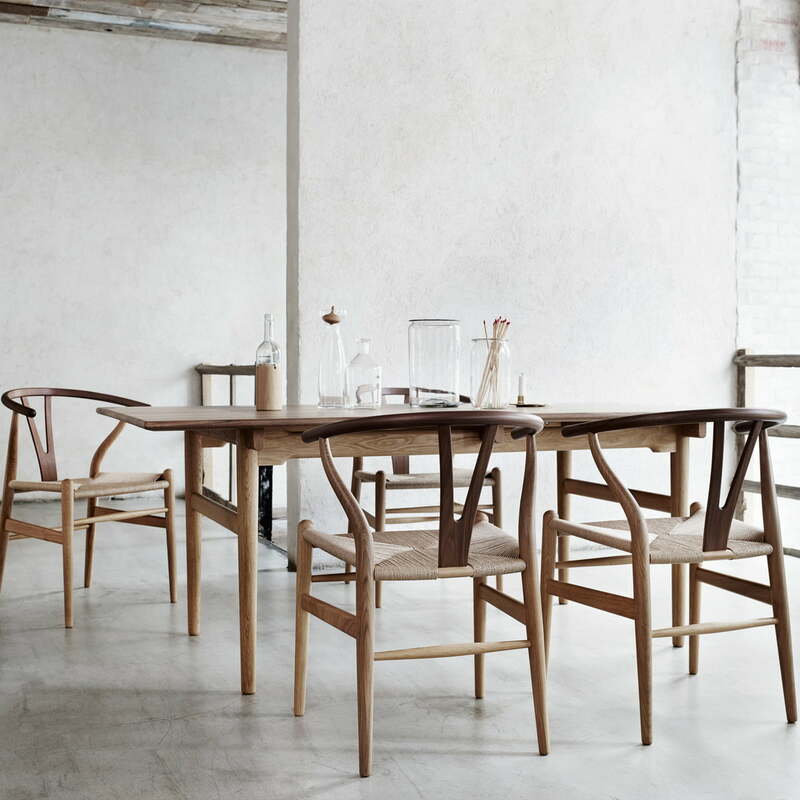 The CH24 Wishbone Chair by Carl Hansen in the ambience view. The chair can be placed at the dining table in groups of several, but also cuts a good figure standing alone. 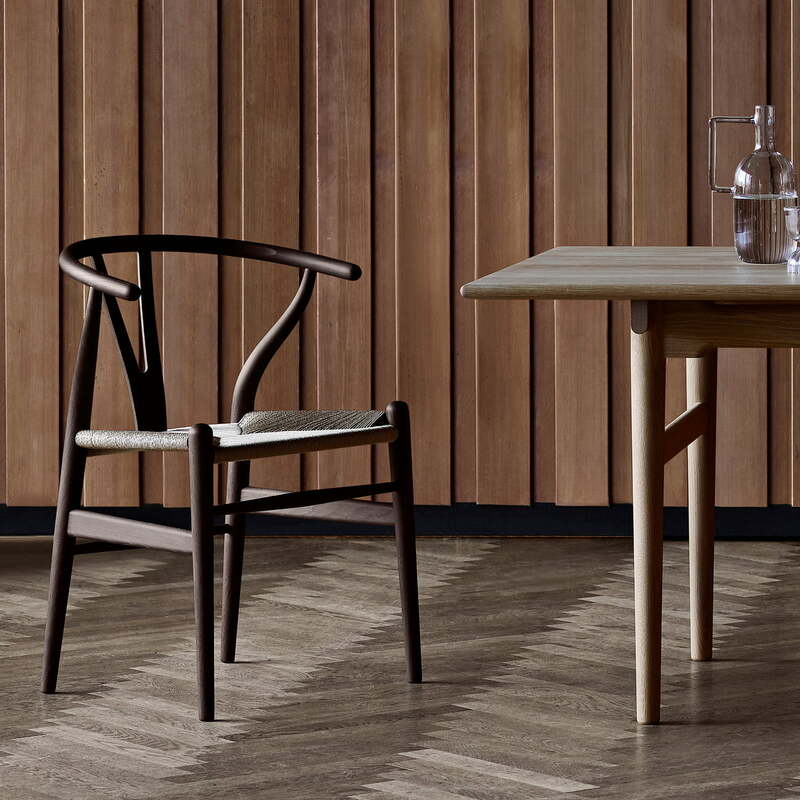 The CH24 Wishbone Chair by Carl Hansen in the ambience view. 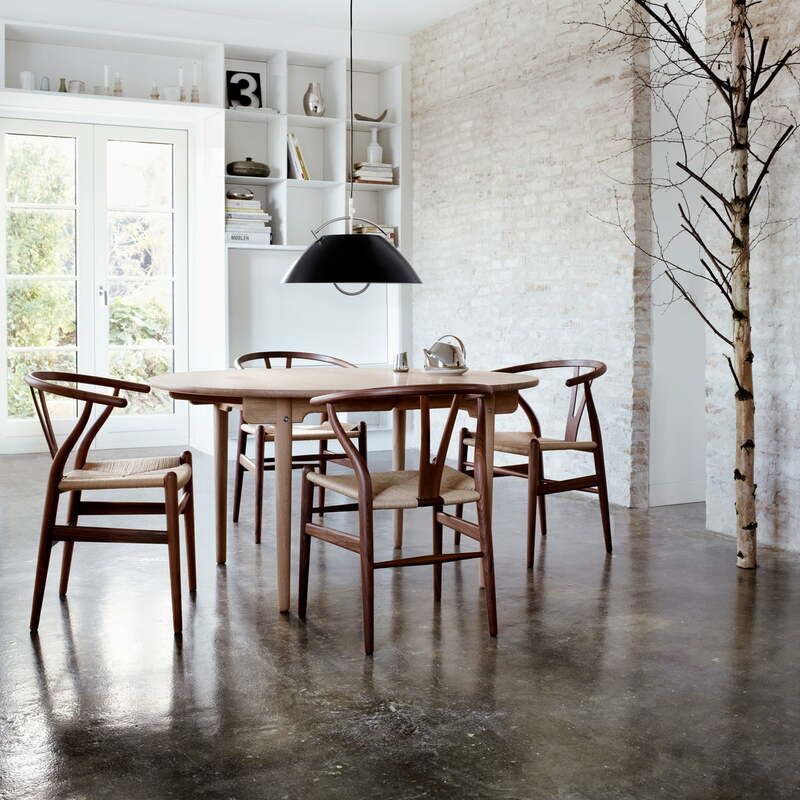 A stylish dining room can be furnished in several at the table or in combination with other chairs from Carl Hansen. 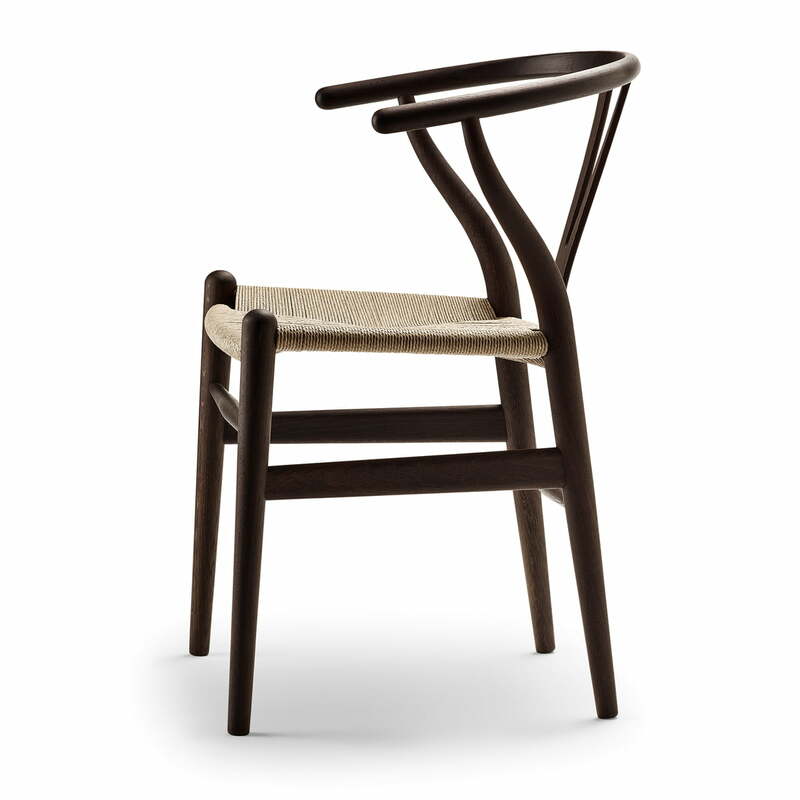 CH24 Wishbone Chair by Carl Hansen: The hand-woven seat alone consists of 120 m paper cord, which is processed by Carl Hansen & Søn in uncompromising quality. 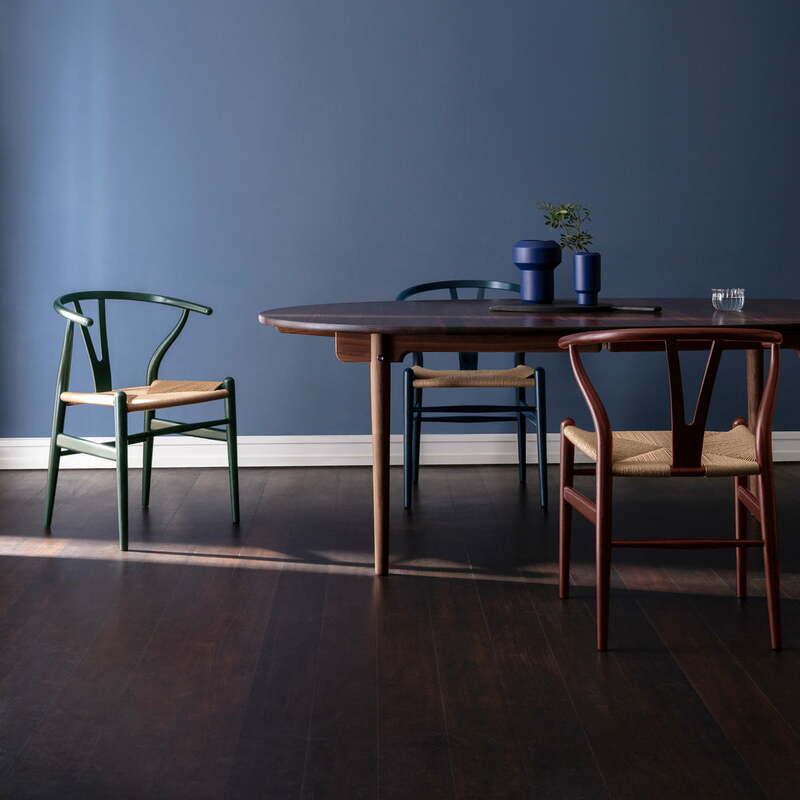 CH24 Wishbone Chair by Carl Hansen: The chair is particularly suitable for the dining table and the living area, where it convinces with its timeless elegance. 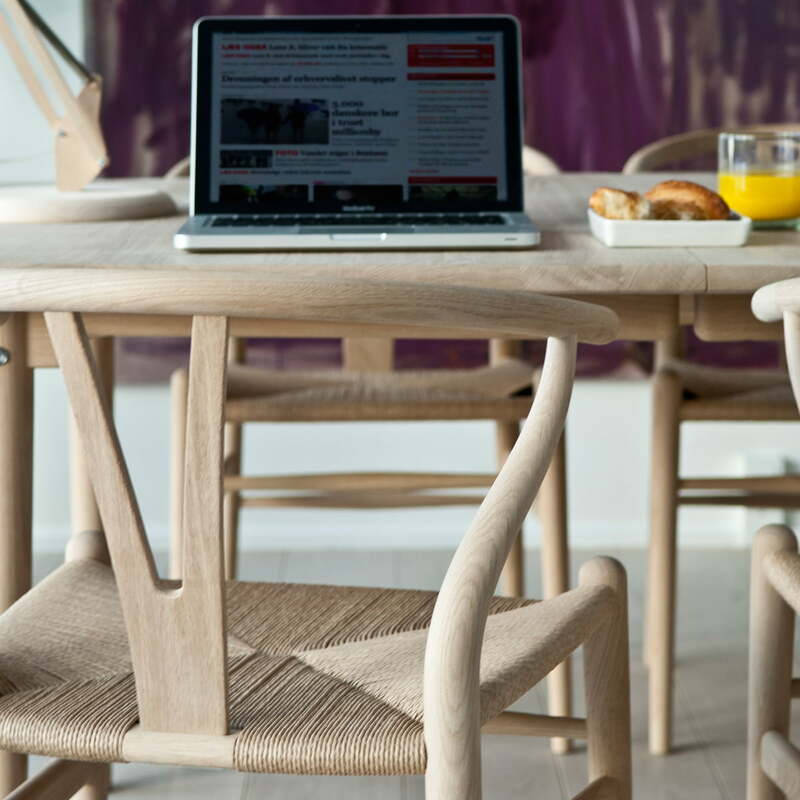 CH24 Wishbone Chair by Hans J. Wegner for Carl Hansen: "The simple appearance of the chair makes it hard to imagine that 100 individual steps are required to make it. The characteristic "Y" in the backrest of the CH24 ensures comfortable sitting, simultaneously stabilises the steam-curved backrest and, of course, is responsible for the name of the chair. The gently curved backrest, the special bracing and the hand-woven seat surface allow a wide range of seating positions, making the CH24 suitable for a variety of applications.